David Bowie 1978-05-27 Marseilles ,Palais des Sports – Marseille 78 – (remastered by halloween jack). This is another surprise…..the history goes something like this. 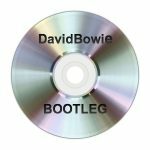 Bowie played Marseilles in ’78, and the story goes the power went out during Blackout, and after a delay the show started again. Back then I think an hour or so is a good guess as to how long people had to wait. One could speculate that it was the work of a crazy in-house hired hand, right? I mean a blackout right at the end of Blackout? In reality, the power goes out a little into Sense of Doubt, so maybe the crazy hired hand was a little slow on the draw. You can hear it on the tape for just a couple of seconds then it cuts back to the next song, but I have separated Sense Of Doubt even though it’s only a few seconds in that everything goes. In taper circles the version circulating had always been garbage and for completists only. Then around 1990 or so I made a trade for this version, which was on a list that said better quality. Then I received it and realized I had really stumbled upon something good. The show is nearly complete, with small cuts in Ziggy Stardust and Rebel Rebel. In addition, the quality is really solid. This is a nice recording to my ears, full stereo sound perhaps, good depth to the instruments and the like. The more I listened to it, the more I liked it, and it has one of my favorite versions of “Heroes” I did ask my source at the time if he had a fuller version, alas he said this was how he got it. The cuts are clearly the result of using a 90 minute tape, cutting off the end of each side, and I am sure a full version of this show does exist as there are no other cuts. Rather an unusual sequence at first sight; most likely you’ll think someone has been funny enough to hustle all the songs, but during this concert something happened. 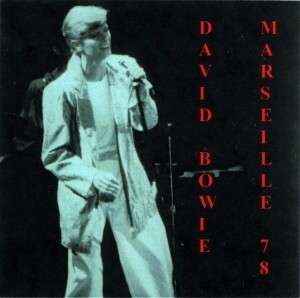 After Blackout the electricity failed and a French girl took a header around Bowie’s neck. Later he would say: “I didn’t know where she came from and I didn’t have time to ask her name,but anyway, there she was suddenly with her arms around my neck,a thigh between my knees and her tongue so far down my throat that I feared I must surely choke or suffocate before she came up forair”. A forced interval of more than an hour followed, but when it was over,Bowie came on again and after a couple of French words to the audience,he in­ troduced the band. All this ,togethrer with the fact that presumable ,there was not enough time to play all the songs, made Bowie change the sequence.